Home Research Faculty Thomas Yang, Ph.D.
Dr. Yang received his A.B. degree from Cornell University and his Ph.D. in Molecular Biology and Biochemistry from the University of California, Irvine. 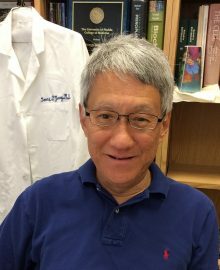 As a postdoctoral fellow, he studied medical and human molecular genetics with Dr. C. Thomas Caskey at the Baylor College of Medicine, and transcriptional regulation with Dr. Arthur D. Riggs at the Beckman Research Institute of the City of Hope. Dr. Yang joined the Dept. of Biochemistry and Molecular Biology in 1988 and rose to the rank of Professor in 1999. He also serves as the Program Director of the Center for Mammalian Genetics, is a member of the American Cancer Society, Florida Division, Peer Review Committee, and was a member of the National Institutes of Health Biological Sciences-1 Study Section. 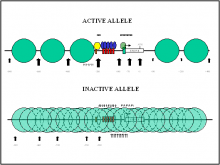 Our laboratory studies the regulation of transcription, particularly epigenetic mechanisms that regulate activation and silencing of mammalian genes. We employ two genetic systems of monoallelic gene expression: mammalian X chromosome inactivation, and genomic imprinting in the Angelman/Prader-Willi syndrome region of human chromosome 15 and mouse chromosome 7. In each system, both a transcriptionally active and inactive allele of a given gene reside within the same nucleus. We are interested in the mechanisms by which these systems of differential gene expression are established and maintained during mammalian development. Our current studies focus on the roles of DNA methylation and chromatin structure in regulating transcription using mouse genetic models.